Lina is a young Lithuanian teenager whose life changes dramatically just before the start of WWII. Her family has been targeted as hostile to the Russians and Stalin's regime. The family is taken away from their home with barely enough time to pack a few things. The story, told from Lina's perspective, documents some of the cruelties that the citizens of Lithuania, Estonia, and Latvia suffered. They mirror many of the things the Jews were suffering at the same time. 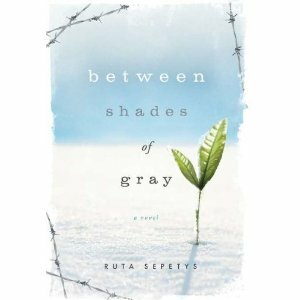 Ms. Sepetys did a tremendous amount of work to create a novel that reflects the events of that time as accurately as possible. I loved reading the book but was haunted by some of the images left by it. For example, one young woman and her newborn are taken from the hospital immediately after the birth, in fact the mother is still wearing a bloody nightgown. They are thrust onto a crowded truck that is taking the captured Lithuanians to Siberia. The baby is unable to nurse properly and starves. The grief-stricken mother refuses to give up the baby. The smell becomes overwhelming and finally the Russian soldiers force her to give up the body. What happens after that is violent and gruesome. It is a fascinating book about a fascinating time and details things that have been overshadowed by the horrors inflicted by Hitler on the Jews. I had no idea that those people suffered so much. My one gripe about the book was that it ended abruptly. I wanted to know more about how they were freed after several years of confinement. 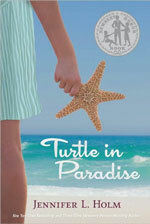 Because of the violence and of other adult situations, I would rate this book PG-16. The language isn't bad and I highly recommend the book but some of the subject matter would, in my opinion, be too much for younger teens. poor writing, foul language, drugs and drinking, etc. it is just not worth it. There are so many good books, way too many to waste time on this one. Rated R.
Wow, it’s tough to come back after a 3-month hiatus! Taking the GRE, a daughter getting married just before Christmas, preparing for the holidays, all those things really took a toll on my free time and my blogging. Did I quit reading? Of course not! I couldn’t possibly blog about all the books I read in the last three month but I will at least talk about some of my favorites, starting with this one by Scott Westerfeld (he wrote the Uglies books). 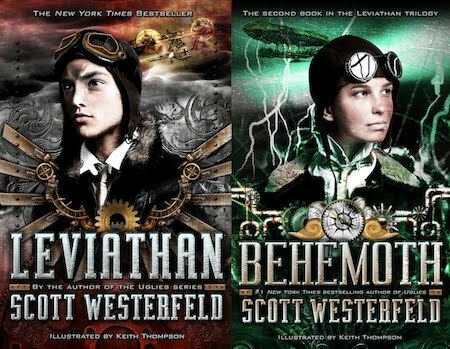 I actually have read only the 2nd book in the series (Behemoth) but purchased Leviathan for my 12yo son to read on the plane to Utah for my daughter’s wedding. He devoured the book. I loved Behemoth and am anxious to read Leviathan. The story is a clever blend of historical fiction and fantasy with a little romance thrown in. It is set during World War I in Europe. Deryk (Dylan) is an English girl pretending to be a boy so she can be an airman. Alek is the heir to the Austrian throne who fled his home after his family was killed. What makes this a fantasy are the new Darwinist creatures that the British have, and the unusual machines of the Germans. Lots of fun to read with wonderful illustrations, I highly recommend this book for middle school readers and older. Rated PG for some violence. This Body of Death starts out with the retelling of a decades-old murder of a toddler at the hands of 3 preteen boys. The details in the retelling are very cringe-worthy and disturbing so I tried to skim through it. The whole book is interspersed with more accounts of this heinous crime and, although I knew that it had to tie in to the main part of the novel somehow, I was surprised when the truth was finally revealed. I thought that the book was interesting but the foul language, some of it incredibly bad, started to come more often about halfway through so I just skimmed to the end. 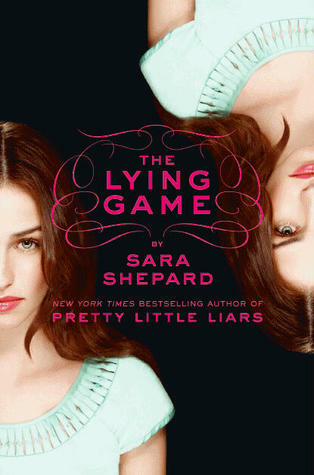 The main story is that of an age 20-something young woman goes missing and then is found to be murdered. Her ex-lover is put in the spotlight for the murder although many other suspects are found as well. 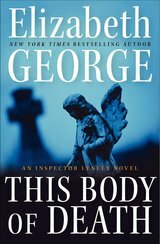 Scotland Yard is called in to help solve the murder even though the new director is just a temporary fill-in after the previous director's wife is murdered (this is mentioned quite a bit in the book but the actual story of it is in a previously-written novel). She (DI Ardery) asks him (Thomas Lynley) to help her out since she has only been on the job a few days. In that short time she manages to alienate much of the office. They revere DI Lynley however. The first book in this series about Inspector Lynley is The Great Deliverance, published in 1988. She has written 19 books about Lynley so far. There is also a BBC series about him. However, I thought that This Body of Death was too profane to read, with one particular word making it rated NC-17, so I don't plan on reading any more of her novels. I would suggest that you start at the beginning of the series which is The Beekeeper's Apprentice. 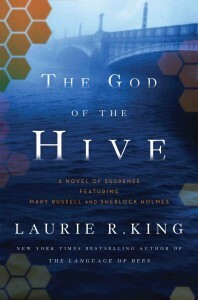 Otherwise, at least read The Language of Bees first since The God of the Hive is a continuation of that one. Some people think that it is akin to sacrilege to write about Sherlock Holmes and I thought at first that it was a cheap trick, until I read the books. I feel that she has written a couple of intelligent and entertaining books and would expect them to be on par with the earlier novels in the series. These books are entertaining without being fluff. I had to keep a dictionary on hand to look up unfamiliar words but there weren't so many that it became obnoxious. There was very little profanity or anything else particularly objectionable in the book. There was some violence with a couple of people being killed but, all-in-all, it was quite clean as well as well-written. Rated PG for the violence. 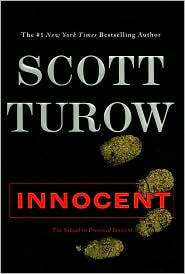 This is a sequel to Turow's book "Presumed Innocent" written some 20-odd years ago. Rusty Sabich is now a judge. His son is all grown up and a practicing attorney. It starts with the death of Rusty's wife (who happened to be bipolar) but then goes back about a year and a half in order to set up the sequence of events leading up to the time of her death. I read the first book and remember liking it but not much else about it so I was intrigued by a sequel that appears so many years later. It didn't take long to discover that it wasn't worth reading. What with the profanity and nasty sleazy sleeping around that the main character does, it just made me sick. Don't bother with this one! Rated R.